The Petzl Kliff is a large capacity rope bag/Rucsac designed for sport climbing. The bag will hold up to 100 metres of rope plus all your sport climbing gear (shoes, harness, quickdraws, etc). The bag opens from the rear which stops your back from getting dirty when wearing it after use. The Kliff also features a rope tarp and a small zip pocket to hold smaller essentials such as your phone, wallet and guidebook. The Kliffs rear zip and opening buckles look like they could be uncomfortable on your back however this is not the case. Strategically placed padding at the top and bottom of the sac protects the zip and makes the bag is very comfortable when full of gear. The large rear opening makes access easy and the outer material is tough enough to leave on the ground without damaging the bag. There are two internal gear loops which are useful for clipping your quickdraws and belay device to and help keep the contents of the bag tidy and accessible. In summary the Petzl Kliff is a great, simple sport climbing rucksack that's perfect for a days climbing. It has more than enough room for your lunch and some extra clothes. We'd have no hesitation recommending purchasing the Kliff if you're looking for a new rucksack for taking to the crag or the climbing wall! This chart has been created to help you choose the right fit when buying a pair of La Sportiva rock climbing shoes. Most La Sportiva rock shoes are fitted similarly as you can see bellow however there are some exceptions. We have split the sizes into 4 categories. Depending on the shoe we will only recommend wearing them for use in 2 of the categories. This is because Sportiva's most aggressive downturned shoes are made to be worn tightly and won't work properly if worn loosely. 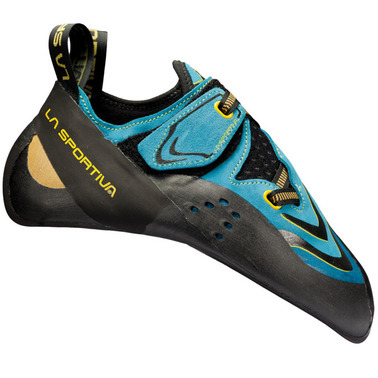 To see the shapes of each shoe and La Sportiva's recommended use please see the images at the bottom of the page. If you need any further help please don't hesitate to send an email to info@urbanrock.com or send us a message in the live chat! The Black Diamond ATC Pilot is an assisted braking belay device designed for 8.7mm - 10.5mm single ropes. The ATC Pilot makes belaying a lot less strenous when the climber is working a route due to it's assisted braking. The dead end of the rope still has to be locked off however less strain is needed to keep the rope from slipping through. Installing the rope: The rope is installed the same way as a normal tube style device making it easy and intuitive to use. Lowering the climber: When lowering someone you have to have one hand on the device with your thumb on the 'thumb catch' to control the lowering speed and the other hand on the dead rope. This took a bit of getting used to but I was soon lowering the climber smoothly after a couple of routes. The speed can be easily adjusted by tilting the device towards or away from you. Paying out slack: You can pay out slack the same way as a normal tube belay device or quickly by dragging the thumb catch foward whilst keeping hold of the dead rope. This can also take a bit of getting used to if coming from a Petzl Grigri. Overal the Black Diamond ATC Pilot is a great device especially if you normally use a tube style device as it is fairly similar to use. The assisted braking gives you an extra bit of security which is always good! It is also light weight at only 86g. See the video below for instructions or shop here! The Petzl Coeur Pulse is a removable anchor that can be securely installed and removed quickly and easily. It's one of those products that turns up and you wonder why it has never been thought of before! Step 1: A 6.5cm x 12mm hole needs to be drilled. Step 2: Release the spring by twisting the 'finger trigger button' black part anti-clockwise. Step 3: Pull spring back to place the bolt. Step 4: Lock the bolt securely by twisting the 'finger trigger button' black put clockwise. To remove the bolt, reverse the steps shown above. The Futura is an aggressively down-turned but senstive, high-end rock shoe, making it perfect for steep technical climbing and bouldering. The soft leather and lorica upper along with a fast lacing velcro closure system makes for an excellent fit straight out of the box. The fit is similar to that of the La Sportiva Solution and the Futura utilises the same ‘no edge’ technology that has made the Speedster so successful. So how does the ‘no edge’ system actually work? The answer is fairly simple, and is best described in the illustrations below. You can see with the edge rounded off, the low profile of the rubber fits more snuggly around the foot, thus reducing the distance between your foot and the rock. This creates an extremely natural feel and awareness of the holds you are standing on through the 3mm thick sole. You can also see that the ‘no edge’ technology helps to create a more uniform pressure with the toes, maximising your grip and contact with the rock in various positions with the heel up or down. Just bear in mind as with any new design concept, the ‘no edge’ system may take a couple of routes to get used to, but when you do, the La Sportiva Futura may just become one of your favourite climbing shoes. All this combined with an excellent fast lacing system, and the La Sportiva P3 (Permanent Power Platform) system – A patented construction system that guarantees retention of the arched shape for the lifetime of the shoe – makes the La Sportiva Futura a truly groundbreaking climbing shoe, and one that you will look forward to using time after time. 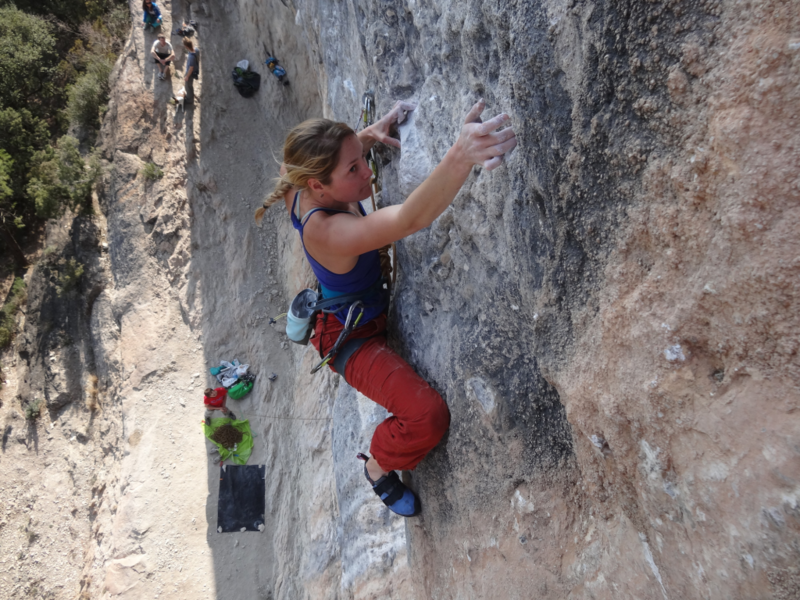 Katy Whittaker first appeared on the climbing scene with her brother Pete in a short climbing film called Grit Kids which appeared on the Committed II DVD. Pete Whittaker is now more well known for his hard crack climbing ascents with Tom Randall of Wide Boyz fame, and his recent solo of 150 gritstone extremes in a day. In the meantime, Katy has quietly racked up some impressive ascents of her own, being only the 4th women in the UK to climb 8b+ (China Crisis in Oliana), making the first female ascent of the serious Knockin’ On Heaven’s Door (E8 6c) on Curbar and tip toeing her way across Gaia (E8 6c) at Black Rocks to name but a few. 1. So where did it all begin? I don’t even remember starting climbing, my family has always been very active outdoors and it is just something we have always done. We started walking and scrambling in the mountains, my mum is mega keen so there was no way we wouldn’t get into climbing. 2. Are you and your brother competitive? Ha! I used to be better than him when we were kids then he got muscles and got strong. There was a short time period when I tried to keep up with him then I realised it was pointless. We definitely aren’t competitive these days as we do totally different things. 3. What do you think about his obsession for crack climbing? Each to there own. I wish I were as good as Pete, but it doesn’t really appeal to me so I never put the effort in! 4. Do you still climb together? Not really, we still hang out together and occasionally climb at the wall but we both have our own agenda and they don’t usually cross paths. Plus outside on the grit Pete has basically done everything I want to do, so there is no reason for him to come out and try the climbs again with me. 5. Are you planning any big trips together? 6. So what have you been climbing recently? I spent the beginning of the year sport climbing and really pushed myself and achieved a big long term goal. Then I switched very swiftly to trad and went to Pabbay, Mingulay and then Chamonix. 7. Tell me about Pabbay? Pabbay is an uninhabited island on the Outer Hebrides of Scotland, you take a 5 hour ferry journey then an hours fishing boat ride and get dropped off on an island with nothing there except a stream of fresh drinking water. It is a ridiculously amazing place though, camping by a beach with golden sand and clear blue seas, then climbing on steep 100m sea cliffs with puffins flying past you all day. You feel pretty out there, there is no signal and you are a very long way from the main land. It is very committing doing a 100m hanging abseil and knowing the only possible way out is to climb back up. 8. Sport or trad, do you have a favourite? Trad is where my roots are, this is where it all began. I have a lot of experience climbing in the Peak District on the small gritstone edges and have done bits and bobs in North Wales, Cornwall, Pembroke, Scotland etc. However seacliff and mountain trad climbing is something I would really like to pursue and improve on as I definitely feel like I lack experience in these areas. For now though, I want to push my sport climbing as I feel it is the right time to do so. I like the fact I can just dabble in trad as and when the opportunities arise. I definitely don’t have a favourite though, they both allow me to experience different things and take you to different places. 9. I know you’ve just got back from an Arc’teyx meet in the Alps. How was that? Yeah I was helping out at the Arc’teryx Alpine Academy, it was amazing event designed to educate and inspire people and get them up into the mountains and where better place to run it than Chamonix. I stayed on for a week after and managed to get out and up into the mountains everyday. This was my first experience of real alpine climbing and I loved it! 10. What’s it like being an Arcteryx Athlete? I only recently joined the team but Arc’teryx are really supportive and all the athletes are really inspiring. 11. Did you get anything done? I think the climb Jo and I were most psyched about was climbing Voie Rebuffat on the Eperon des Cosmiques, the hardest pitch is only about French 6a but we had the whole experience of walking down the midi snow slope, using crampons etc. and being at altitude. It really was one of my favourite days out climbing. 12. What do you do for fun when not climbing? I like to catch up my friends. It has been a busy few months and I haven’t been in Sheffield very much, this week I am taking a rest so I have more time to visit people and go to the pub! 13. What is your favourite climb so far? Ah that is too hard to answer, I have a lot of favourites across the various disciplines and they are all special for different reasons. 14. 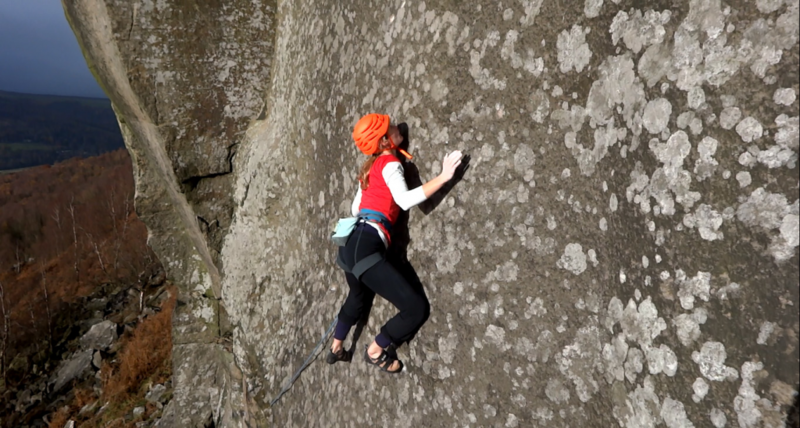 You’ve been climbing hard routes on Gritstone for several years now, and recently you’ve really been pushing the boat out with some very serious routes. How do you manage to keep your head together on serious routes? Ah I am not sure, I don’t think I have a very good head, I seriously get scared all the time. I think my will to climb them is so strong and I so desperately want to do the routes that fear is just something I have to deal with, I try not to let it win but sometimes it might take me years to pluck up the courage to actually climb a scary route. Also usually once you are actually climbing there is nothing you can do any more except push on. It helps me to surround myself people who are bold and climb harder because it spurs me on. 15. Does your necky ability translate to longer trad routes? Not at all. As I said early my experience on the bigger trad routes isn’t as vast as on the gritstone. My climbing partner in Pabbay was a Pembroke regular and she was totally in her element in Pabbay – lets just say I was not! However I think I can easily work on this but I just need to do more of it but it isn’t the right time for me at the moment. 16. (Re-necky ability) Would you say it’s something you either have or you don’t? I think it is something you just build up gradually. I wouldn’t just start my grit season by headpointing Gaia or Knockin’ on Heavens Door, I have built up my confidence on this rock type over many years and put in a lot of mileage on easier routes. You have to know what your ability is and have 100% confidence in it, gritstone is one of the only rock types I can do this on. 17. What is your favourite type of rock to climb? I like anything as long as it is solid! 18. How many pull-ups can you do? Ha, not sure. Maybe 15? 19. Do you have any big projects planned for the future? 2013/14 has been a really big year for me as I achieved my dream goals that I wasn’t even sure were possible. Now it is a case of making new ones and putting some work into them. There are a lot of places I really really want to visit though. 20. If you had to stop climbing now, what would you do? Mmm not sure. It would have to be something in the mountains. 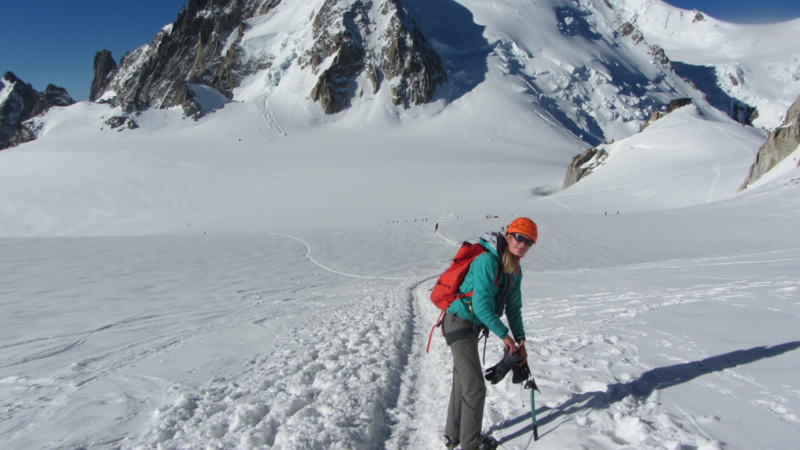 Katy is currently working at Arc’teryx UK and is also sponsored by DMM and Five Ten. We are moving along the technical ladder of climbing. 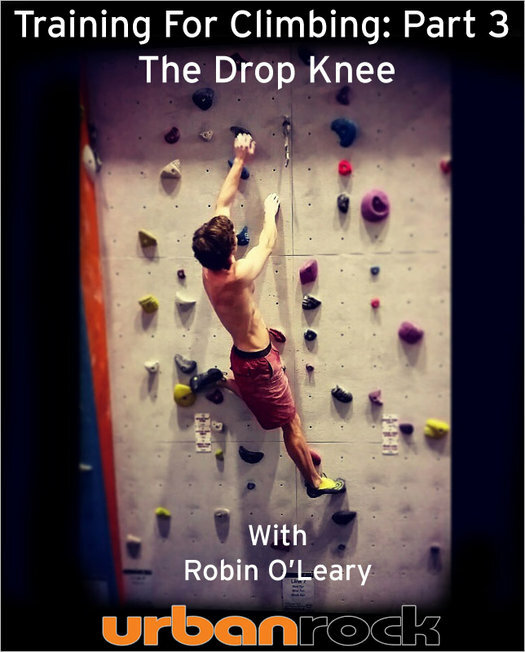 In our first blog Training For Climbing: Part 1 we looked at footwork, last month we concentrated on stepping-through and this month we take a look at the drop knee. We keep referring to the importance of technique and efficiency – and rightly so. When climbing, we want to use as little effort and energy as possible. Yet the majority of climbers are seen pulling their way up routes/boulders, wildly out of control – far from being efficient. I highlight to clients on a weekly basis the importance of footwork, straight arms and keeping the hips in. One way of doing this is by using the step-through, which we looked at last month. Another option is the drop knee. The drop knee, like the step through, is fairly self explanatory, but for those that haven’t heard of the technique or for those that are unsure on their methods, below highlights a series of videos demonstrating the process. You also see a lot of “good” climbers not using this technique to the full effect – slight in-corrections making the technique not so useful. The drop knee is a very useful technique, which can be used on vertical walls for efficiency, but is far more useful and necessary on steeper ground. The key is to avoid being front on. The video below highlights the correct technique for the drop knee. The first point to note is that there are two footholds for each move. This is essential as it creates the base of support for the climber. Secondly, and like the step-through, you can see that the arms stay straight. This may vary depending on the scenario and isn’t a golden rule – BUT faced with a drill, it is always a good idea to practice perfect technique – using the arms and hands as little as possible and making the hips, legs and core do more. The drop knee foot should be the second placement. By doing this, it allows you to place the toe with more precision. This is essential as we have to be able to pivot and push off this toe once it has shifted from the original placement. Pre-empting the pivot is part of the finite skill. When we place the toe, we use the inside edge and as we drop the knee, this inside edge rolls onto the outside edge. By doing this we create outwards pressure, like a bridge. This takes more load off the arms and generates the momentum for reaching up. As we drop the knee, we twist our hips so that the outside of the quadricep is as close to the wall as possible. By dropping the knee the whole way in, we keep our weight close to the wall and on our legs. Twist so that your body is at a right angle to the wall. By dropping the knee in a fluid motion and pushing off each foot we generate momentum. Simultaneously twisting we create a weightless position when reaching. If you reach too early, your knee will not be dropped and therefore your weight will be further from the wall. Secure the drop knee and reach up once in balance. Once we have reached the next hold (on the same side as the drop knee), we can start looking at releasing the drop knee and getting ready for the next. This all starts with the feet and core. Start to pivot the both feet to create space so that you can lift your lower leg up to the next hold. Traditionally in drop knees these are far out to the side – highlighted by the second and third drop knee in the video. Always place the toe on the inside edge and pivot as you drop the knee. This generates the momentum and driving forces of the feet. Do not place the foot once the knee is dropped as many people try to. Below is the same video from the side view highlighting how close to the wall we can get and how much you have to twist. Note, the first two foot placements are closer together (not far out wide) illustrating how this limits the distance from you and the wall. The wider the foot placements, the closer your body will be to the wall. Many people are aware of the drop knee, but get confused by the finite techniques. Not using the correct technique will have you off the wall or using too much energy. Mistake 1. Climbers do not pre-empt the pivot when originally placing the toe. Either using too much edge or stepping too high on the hold will either mean you cannot physically pivot the toe, or as you pivot your foot will pop off the hold. When you place the inside edge of your toe on the hold anticipate that you will be turning the toe inwards AND using it as to push away. This will mean it will be placed often on the side of the hold so that you can generate the forces to mimic a bridge. Mistake 2. A lot of people try to place the toe once the drop knee has already happened in mid air. This is inefficient and doesn’t take advantage of the forces generated by the drop knee. It also puts too much weight through the arms during the transition. Always drop the knee after the toe has been placed. Mistake 3. Not dropping the knee enough. As discussed earlier, by not dropping the knee enough on steep ground will send your body weight further from the wall. As a result you will be reaching over the knee and pulling far too much. Here are two videos from both the front and side view highlighting this. Do not rush the drop knee. Drop the knee and twist the torso as much as possible so that it is at right angle with the wall. Once the knee is dropped, the feet will be pushing in opposing directions allowing you to reach up with minimal effort. Mistake 4. As climbers try to experiment with deeper drop knees, they start to experience their knees coming into contact with their elbows/arms. Once you start to drill and perfect this technique it can completely revolutionise your climbing. Making steep climbs more attractive and less intimidating – being far easier than you once thought. Get to work on your technique and watch your climbing improve! Here’s Rob Cook drilling the technique at Surrey Sports Park. From video analysis Rob can see that he can pivot a little cleaner and drive with his feet more, thus relaxing the arms. 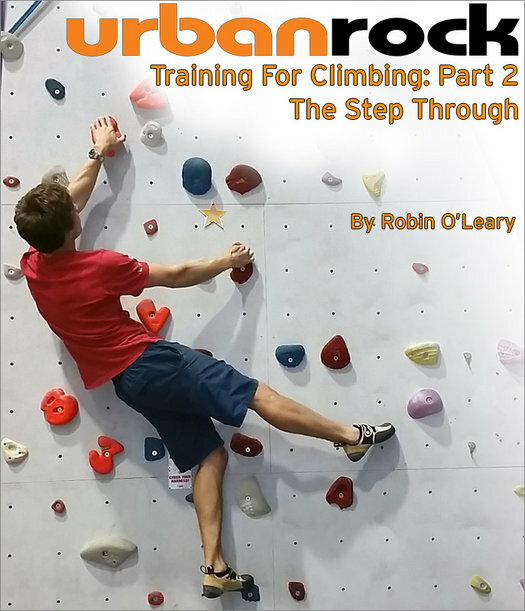 Robin is currently working as a freelance climbing coach. He has a wealth of experience with hands on coaching, working with beginner, intermediate and advanced clients including some of the UK’s most talented youth competition climbers. For more information on coaching and technique sessions with Robin O’Leary, Click Here to visit his website. On 25th April 2014, Neil Gresham hosted a Q&A session with one of the world’s best climbers, Adam Ondra for Urbanrock, at the Westway Climbing Centre, which included some insightful questions from both Neil and the audience. What follows is a truly fascinating insight into Adam’s climbing life as he talks about what drives and inspires him to climb, what he’ll do if he ever runs out of hard routes, why he can climb so fast, and how to stay positive with the constant expectation to climb harder and harder routes. 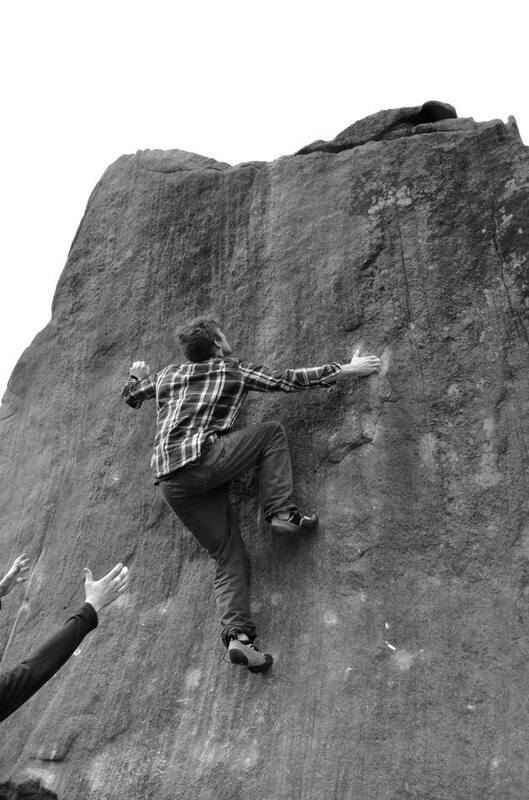 Last month we looked at THE most fundamental aspect of climbing – footwork. If you place your feet badly, it has a huge and detrimental knock-on affect to the rest of your climbing – lack of confidence being the major point. In this week’s blog, we are going to look at one of the most important climbing techniques/drills, “the step- through”. On the surface, it is a very simple technique, but there are nuances to this technique that make it far more complex than your first realise. Identifying when to use this technique is the key. Usually, a zig-zag pattern of footholds and hand holds is the clue. However, to make things less complicated when learning and perfecting this technique, we will be using ALL holds to form the basis of a drill. There are a number of “steps” to follow when learning this technique. Below, you can read about them one by one and watch this video demonstrating correct technique. I want you to pick a vertical to slightly overhanging wall with loads of holds and good ones at that. The whole idea of the step-through is to take the weight off the hands/arms. To ensure this happens, you want to be looking for footholds directly below the upper hand hold (this will become clear in the video below). For our drill, start with your left hand (LH) high and your right hand (RH) low. To move our RH up, you will be stepping your right foot (RF) to a foothold directly below (or below and slightly towards) the LH. As you do this, you will be using your left foot (LF) as a pendulum to raise your centre of gravity (COG) and flagging it out wide, whilst placing your toe on the wall (to keep the weight close to the wall and on your feet). As you step onto your RF and flag your LF you want to press down with your RH until your right leg is straight, your left arm is straight and you can reach for a higher hold. To assist you in this drill try to zig-zag with your hand holds (exaggerate the movement to help you maintain a straight arm when reaching up). Reach up and right rather than just straight up. Once you have reached and held the new hold with your RH, we need to take the weight off this hand and repeat the process. This is initiated by slightly pivoting on our RF. This brings our body away from the wall, ready to step-through with our LF. You will be aiming for a foothold directly below (or slightly below and behind) the RH. As you step-through, place your LF carefully on the hold. As you do this, you will use your RF as a pendulum and as you stand up with your left leg, place the RF against the wall at the highest point once you have straightened your left leg. As you stand up with your leg, you want to ensure your right arm stays straight and your RH stays as relaxed as possible. Keep pressing down with your LH until you can reach the new hold. As with learning something new, most people tend to do the technique slightly incorrectly when they first learn, making the whole technique worthless as you will be overpowering the moves, so I have also added two further videos showing HOW NOT TO perform the step-through. The first video (below) highlights me stepping-through, but keeping my foot at right angles to the wall. This has a knock-on effect of putting my knee closer to the wall, but pushing my bum further out. As a result, I have to pull with my arms as my weight is out and not over my feet. The second HOW NOT TO video (below) demonstrates me “bottoming-out”. You can see I step through fairly efficiently, but then, rather than standing up, using my flagging leg to help raise my COG, I go to the bottom of the movement. As a result, it leaves me with a one-legged squat. Although you can do this with a straight arm, I have never seen anyone perform this on a wall. They simply crank on their arm to help stand up, again, making the whole technique incorrect. You can also see that the flagging leg places low, then drags up the wall. This not only adds resistance making you pull with your arms harder, but it also wears out your shoes. The age-old phrase, “practice makes perfect” couldn’t be truer with this technique. As mentioned, make sure you do it on the “easy” or beginner walls where there are no crux moves or awkward challenges. Over time, this technique will translate into your daily climbing training and will dramatically start to transform your climbing. Once you master this technique, continue to drill it as a warm-up and warm down of every session. I hope you enjoy this effortless way to climb and keep an eye out for the next blog on drop knees! UPDATE: Here’s a video of Paraclimber Matthew Phillips drilling the step-though! 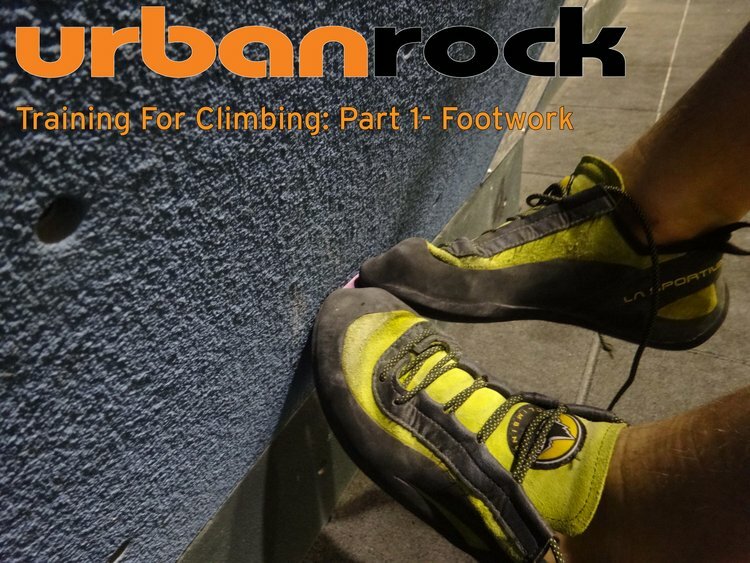 In the first of a series of training articles for the Urbanrock Blog, Professional Rock Climbing Coach, Robin O’Leary discusses the do’s and don’t of climbing footwork. When it comes to coaching, I am asked various questions on how to improve. I am asked for training programmes and coaching sessions on advanced route tactics, but often it is the fundamentals that need more focus. Climbing is a highly complex sport, bringing in a multitude of factors determining one’s ability. However, body shapes aside, all of the best climbers in the world have one thing in common, good footwork! You may have heard the ridiculous rumours that Sharma didn’t have good footwork – this merely stemmed from the fact that he liked to climb dynamically – he is incredibly strong in this way and uses it to his advantage. In this blog, myself and Urbanrock will try to help you understand what is good and bad footwork and how to improve yours in practically. Before we discuss this however, we need to look at shoes. You can have the best intentions in the world, but if your shoes are poorly fitted, then your efforts will be wasted. 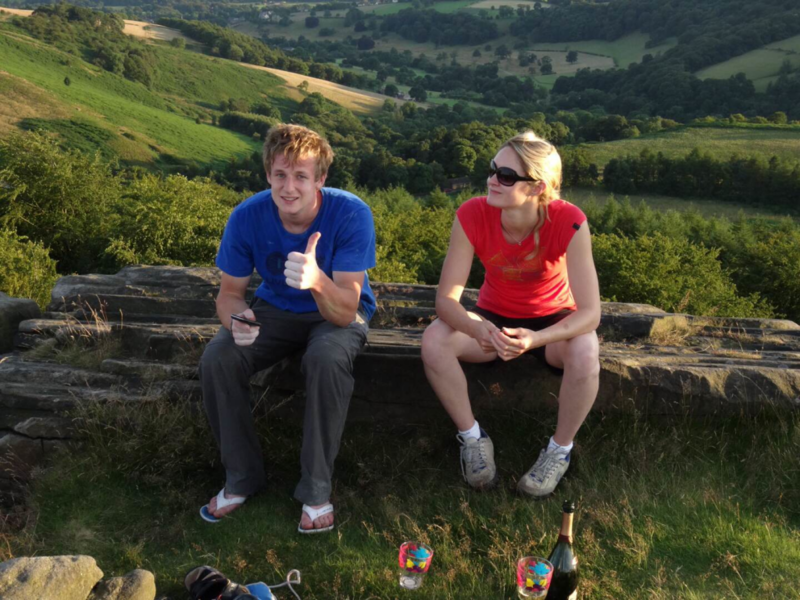 Two weekends ago, I went up to Stanage with a few people I coach. We all jumped on Deliverance – being a classic, and something they had all seen in the magazines and videos. As usual on Stanage, a good layering of pads attracts other climbers and soon Deliverance was as busy as the London underground. One chap had been watching and stepped onto the first smeary foothold and you could see his shoes flexing massively with big gaps bunching up. The shoes were poorly fitted and as a result, he slipped off the first foothold on multiple attempts. No matter how well he placed his feet, the shoes were just too big. When it comes to your shoes, you obviously have to address what aspect you will be climbing predominantly – multi-pitch sport/trad, short grit routes, grit boulders, limestone sport/trad etc. It is correct that you do not want a dreadfully painful shoe if you will be standing in your shoes on a route all day, but they also do not want to be baggy and loose. Your toes should be at the end and if you want to be able to stand on your toes with soft rubber, they should be slightly curled up so you can apply pressure. People say that this is unnecessary, but if you re going to stand on tiny little chicken-heads of Limestone or gritstone pebbles, it is impossible for them not to be tight and your toes bent. You want to be able to trust your feet as much as possible and relax your arms. If you are unsure about your shoes, then visit your local wall/shop and ask the staff. If you are on the look out for new shoes, visit one of Urbanrock’s shops. It is always best to try a shoe on to make sure it fits your feet. SO, before we address good footwork, we need to take a look at bad footwork. Once you know what is considered bad, you will be able to notice if you have any of these habits and correct them. The classic sound of a poorly placed foot is the bang it creates as it hits the wall. Banging is the epitome of bad footwork and this should not be practised. A bang is usually followed by a scuff. Bad for your shoes, wallet and confidence. Scuff is where your foot scrapes down the wall leaving a snail trail of rubber before it hits the hold. Quite often you can see a foot (or more) of smeared rubber above foot holds. Sliding is when a foot is not being weighted. It usually takes place on larger holds and slides from one slide to another before becoming stationary. Bouncing – once a foot has been poorly placed on a foot hold, the climber will try and get some “feedback” from their foot through the rock shoe. This happens by the climber bouncing their foot on the foot hold. This actually makes the positioning worse as the climber is bouncing the shoe off the hold. This is something a climber at every grade suffers from. You will see climbers on 9a and above checking their footwork, again, this will come down to an insecurity of a hold…the difference is, these climbers are stepping on the smallest/poorest holds imaginable. This comes down to a lack of education on footwork, but over-edging is using too much of one’s inside or outside edge (if you don’t know what this is we will address it shortly). A classic sign of beginner’s footwork. Where the climber has either poorly fitting shoes, they are too stiff or they merely have no toe strength. As a result, the climber uses the ball of their feet rather than their toes. So, now we have looked at bad footwork, we can look at a well placed toe and some practical games/drills to help you improve yours. We should address what part of the toes you should be using. This will immediately eliminate a few of the above factors. Toes, means just that – and as we have a stronger big toe than any other, our edges are determined by this. When stepping on a foothold, you should be focussing on the tip of your shoe placing on a hold. For now, we will say approximately a thumb’s width. This includes the inside and outside edge for when you need to pivot on the hold. This will test your shoes. If you cannot step on this part of your shoe, it could be that your shoes are too big for you or that your toes are not yet strong enough to take the weight. Firstly, it means we can trust your toe on any hold. If you place your toe carefully and accurately, we have 100% trust. We do not need to look down and check it, nor move it without looking (bouncing). We merely use it and stand up on it. Secondly, it allows us to pivot. When climbing, we may have to change positions on the same foothold to keep our hips in. Although this is something we will look at in the coming months, for now, the ability to pivot on your tip toe, rather than bouncing it again into position is crucial. Now, the hardest part is yet to come. You may have been aware that this is the best part of the shoe, but still suffer from banging, scuffing and bouncing…that is because you are not watching your feet. Most climbers only focus on their hands. Where the next hand hold is and the next thing that you can pull up on. Wrong…you should be focussed on your footwork. Where you can delicately place your toes and how you can push your way up a climb. You should do this on EVERY climb you do. Whether it is a VB and a 3+ or a 9b+. Watch your foot lift off one hold and your toes place on the next hold. ONLY then can you look up and focus on your next hand hold. This is crucial and even good climbers neglect their footwork too much. 1. “Silent Feet” - A silent foot placement is one that has been placed with care. As you traverse or climb up your easier warm-up routes/boulders really focus on your toes placing on the holds carefully. Hover your foot above the hold before slowly placing your shoe. Do this on every foothold placement. IF you make an error/bang or scuff, do this climb again until it is perfect. Pointers – this should be done on a climb that is easy for you. The climb should not be challenging, as you need to focus more time and effort on your footwork. At first this will seem like hard work, but over time, this will become second nature. People that poorly place a toe will spend more time banging, scuffing and bouncing than you will hovering at first. Next on the list is foot matching. If you can pre-empt a foot match, leave the space, if you can’t and you have to perform one, there are two good ways – 1. roll-on, roll-off or 2. pivot and place.Roll on, roll off:You have a well positioned right foot (for example), you need to match feet. You start by rolling the right foot on to the outside edge of your shoe. From this, a slight gap will appear for your left shoe to roll onto the hold. This is all done to avoid a foot hop, where your arms are taking all of your weight momentarily AND your foot will not have been “placed” as you hopped it into position.Pivot and place:This is where instead of rolling your foot, you will pivot it from inside edge (for example) to outside edge, leaving space for the other foot to match.From here, go and practice! The best way of improving is working on that weakness. Ensure you are careful and are strict on yourself. If you hear a noise or you bounce/slide your foot on the hold, do the climb again without the error. This is not something that will improve over night, but work on it and it will transform your climbing. You will also feel slightly fitter on routes as you can relax your grip and straighten your arms due to the trust in your footwork.It may be 12 minutes long, but watch this video of Adam Ondra onsighting Mind Control 8c+, Oliana, Spain. Really take in his footwork, other than a couple of foot bounces, it is impeccable! You have to remember, this isn’t a rehearsed redpoint attempt. This is an onsight at 8c+ and there are wet holds everywhere!!! Even if you’ve seen this before, watch it again! For more information on coaching and technique sessions with Robin O’Leary, Click Here to visit his website or drop him an email.